Medford is the fourth-oldest English settlement in the United States. Located along the Mystic River in Middlesex County, the city was founded back in 1630 and incorporated in 1892. It was originally settled by brick makers and ship builders, and its residents took an active role in the Revolutionary War. Today, the community is the home of Tufts University and is well-known as the birthplace of “Jingle Bells,” a Christmas song written by a local resident, James Pierpont. If you need assistance with a legal matter in Medford or the nearby area, the real estate and workers’ compensation attorneys at Pulgini & Norton can provide you with dedicated representation. With over four decades of combined experience, we have the knowledge needed to protect your interests. You can qualify for workers’ compensation benefits if you were hurt or became sick because of your job. The Massachusetts Workers’ Compensation Law requires that all employers carry insurance to cover medical costs and lost wages for injured employees. The law does not consider fault, which means that an individual may be eligible for benefits irrespective of whether the worker, the employer, or a colleague was responsible for causing the harm. Medical costs that are both reasonable and necessary to treat the injury or illness. Weekly wage compensation, up to the state’s average weekly wage cap. Wage benefits depend on the worker’s average wage in the year prior to the injury, and whether the accident or illness results in a permanent disability, total temporary disability, or partial disability. Payment for the loss of specific bodily functions or disfigurement. Payment to a survivor or dependent if the worker died as a result of the job-related injury or illness. To receive workers’ compensation benefits, your employer’s insurer must approve your claim. The insurer has the right to have you evaluated by a physician of its choice before you seek treatment from your preferred provider. The insurer will review your medical exams, proposed treatment, and the circumstances surrounding your condition to determine whether you qualify for benefits. An insurer may deny a claim if it finds that an injury is not work-related or that the medical treatment is unnecessary. It may also approve a claim but then ask the Department of Industrial Accidents (DIA) for permission to lower your benefits. You can appeal both a denial of your claim and an insurer’s request to modify your benefits. The DIA requires that you present medical evidence to support the gravity of your injury and need for the treatment you seek. We can review and procure the evidence you need to build a strong case and represent you throughout the DIA appeals process. 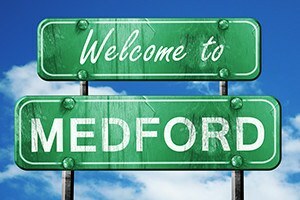 Medford homeowners and prospective buyers often come across issues that have a legal impact on their ability to sell, purchase, finance, or refinance a home. For instance, if you are buying or selling property, you will need to negotiate the terms of both the offer and purchase and sale agreement. If you are a buyer, you probably will want to conduct a home inspection, title search, and secure financing. If you are a seller, on the other hand, you will want to handle matters such as clearing title, disclosing any presence of lead, and drafting the deed. If you own a home, you may encounter issues with your mortgage if you want to refinance or if you drop your homeowners’ insurance. For instance, the cost to refinance may be higher if the terms of your current mortgage include a pre-payment penalty. Although you are not required by law to have homeowners’ insurance, your lender may require that you carry it. For example, dropping the insurance may accelerate the payment, in full, of the balance on your mortgage. The experienced work injury and property transactions lawyers at Pulgini & Norton represent Medford residents in real estate matters and workers’ compensation claims. We offer counseling and guidance in the purchase and sale of homes, financing, and other related matters. Throughout our years of practice, we have also helped injured workers pursue the medical, wage, and other benefits they need after a job-related accident. For a consultation, call our office at 781-843-2200, or complete our contact form today.